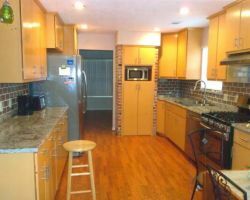 There is a division of Trinity Builders that is totally committed to kitchen remodeling in Sugar Land. While many homeowners dream of their perfect kitchen, they often need to find the perfect kitchen remodeling contractor to feel comfortable enough to make the changes. Trinity Builders is a company that will provide you with all of the information, estimates and timelines you would need to start the renovation of your cooking space with complete peace of mind. Their expert advice, design and construction make this company the best in Texas. Custom renovations are the specialty of New Tradition Builders. This company has been known to work closely with clients in order to ensure that the work they are doing is to their exact specifications. 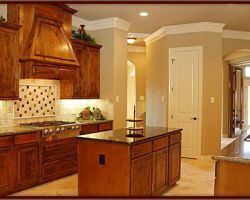 For custom kitchen remodeling in Sugar Land, TX, there is not a more qualified team. From coming up with the perfect design to choosing the countertops, you will be guided through the process while also remaining in control of all of the details. Reviews say that this was the best part of the experience. The kitchen is one space in your home that should be made to function and look exactly as you want it to. It is a room that you spend a lot of time in after all. That is where Kitchen n’ Bath Creations comes in. This professional company has years of experience turning outdated kitchens into unique and customized spaces that their customers will love. For relatively cheap prices, you can work with them to provide simple updates like changing the countertops or design a totally new space. Deciding to remodel your kitchen means taking on one of the biggest home improvement jobs. This project is made much easier when you have the professional team at Chambers Painting & Remodeling to help guide you through every step of the way. 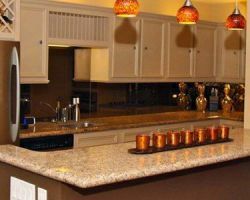 As a Sugar Land kitchen remodeler, this company is totally familiar with how the kitchen should function and will work closely with you to ensure the style is on point too. The workmanship and the design will make for an incredible space. Wood & Stone is one of the most reliable local remodeling companies according to reviews by former customers. With over 25 years of experience, this family-owned and operated business has been helping the residents of Sugar Land remodel and renovate their homes at affordable prices. The nature of this business is to treat every customer like family and to ensure their complete satisfaction. 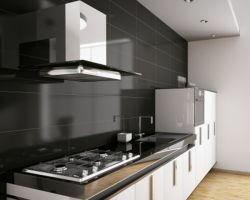 You will feel totally supported in your project and can have peace of mind knowing the final result of the project will be the kitchen of your dreams.